You’ve seen the drop quotes from satisfied customers. You’ve seen the case studies where someone’s products or services saved someone else’s company from the nightmare of whatever it was they were dealing with. And sure, they pull at your heartstrings. They tell a compelling story. A good testimonial can absolutely sway someone’s decision to go with your company over another. Couple that fact with the fact that video is quickly becoming the most popular form of communication, and add the results from studies showing that video is actually more effective than any other medium at getting your message across. It all points the way to a no-brainer solution: video testimonials. Really, video testimonials have been around for ages. Remember, he’s not only the Hair Club President, but he’s also a client (if you’re old enough to remember that infamous gem). Also, you’re more beautiful than you think (if you prefer something more recent). See? They’re effective. They can even be cost-effective, since many of them are simple interviews with volunteers who love what you do. The point is, with the rising popularity of video and the ease with which you can launch them, your business should get back to them. 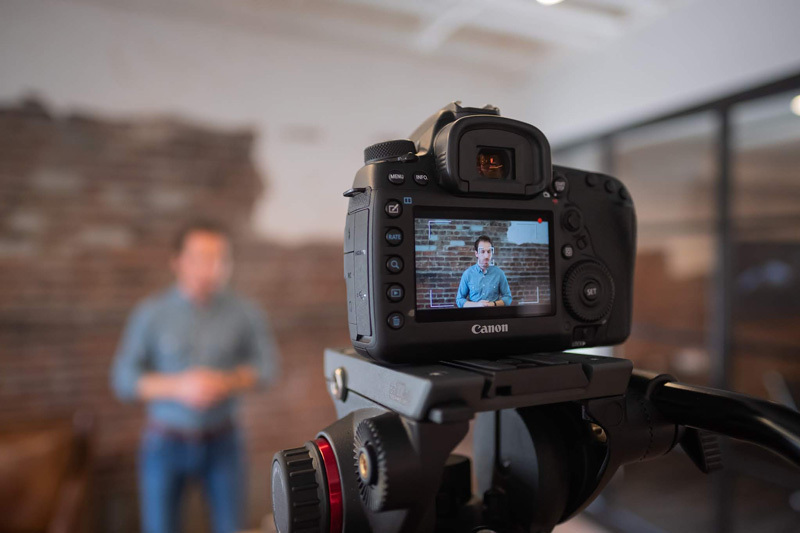 Check out OC’s four-step guide to effective video testimonials before you get started, and make sure your dollars are well-spent. 1. Have a solid strategy in place by setting S.M.A.R.T. goals. As we discussed at length in our series on ROI, the best way to measure whether a project is successful is to set clear goals, or, if you will, S.M.A.R.T. goals–that is to say, goals that are specific, measurable, attainable, relevant, and timely. How does this apply to video testimonials? Make sure you have a message in mind before you start creating. The worst case scenario sees you recording ten minutes of interviews that don’t say anything helpful. Don’t fall into that trap. Don’t be that guy. Instead, know what you want to get across, vet your pool of helpful volunteers and satisfied customers, and make sure the message you’re sending is the message you intended from the beginning. Now that you’ve got a message, it’s time to find those people who are willing to stand in front of a camera and deliver that message. However, it’s not enough to find just anyone. Find a customer who really believes in your message, your company, and your brand. You’ll get a much more convincing testimonial from a loyal client than from a team member. 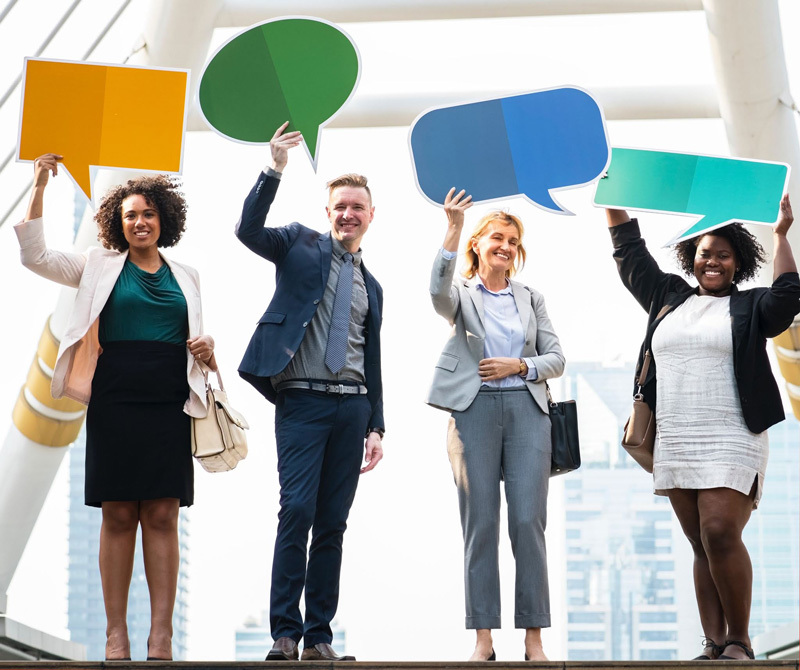 Because OF COURSE you believe in what you’re doing, but hearing it from someone who has used your product or service and not from someone who has a personal stake in the message is more compelling to potential customers. You can have them read from a script or a prompter, memorize what they’re going to say, or just answer questions on the fly and record them answering them. Some of the most compelling testimonials come from what clients have to say about a time you helped them out of a jam. Have them explain that process. This leads into our next point. 3. Present a real problem that your product or service solves. The best testimonials tell a story. The best stories contain some gripping conflict. Now, I know you’re not saving the world from some kind of alien invasion with your product or service (unless you’re reading this in the future and you actually are—in that case, kudos!). But you’re certainly saving your clients from a crisis of a different sort. Tell that story. Here at OC, people come to us with problems such as outdated websites that don’t draw traffic, commercial ideas they can’t seem to pull off themselves, and yes, even video testimonials. Our creative team offers solutions to those problems, crafting responsive and flashy websites, shooting commercials, and yes, even creating video testimonials. Were we the ones crafting our own video testimonials, we’d tell stories like that. And we have. And we’re sure you have compelling stories to tell about times you’ve come to the rescue for people in need. Find those people. Film those people telling their stories. Edit the heck out of those videos with some product footage and fancy lower thirds. And then tell that story to people who might find it interesting (social media, YouTube ads, and your own website are just a few places to showcase it). It’s as easy as that. 4. Give viewers a call to action. Well, maybe it’s not EXACTLY as easy as that. It’s nice to tell a compelling story, but potential customers need to be more than emotionally moved. They need to be moved to MOVE. Make sure your video testimonial includes a call to action. Give viewers something to do. Direct them to your website or your catalogue or a current sale. Give them a “so what.” Sometimes the call to action will be as simple as “consider us for your next whatever.” That’s okay. You’re already going to have an advantage over anyone who hasn’t taken the time to tell a customer’s story. Follow these four steps, and you should be cooking up short testimonial videos in no time. And if you find someone who really works on camera, who delivers naturally, and who is interested in doing it, consider filming a longer version for a case study. But that’s another how-to entirely with a much larger scope. The key with video testimonials is to keep them under two minutes. The rule of thumb is that the first third should establish who the customer is and why they’re credible, the next third should explain the problem they faced, and the final third should discuss how you solved that problem for them. Those are the keys to success that we’ve found fit all locks. We’d love to know if you found this how-to helpful. Drop us an email at [email protected] to tell us how it went!